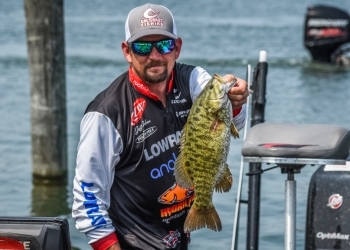 Fishing League Worldwide announced last week the complete professional angler roster for the upcoming 2019 FLW Tour, the 24th season of the FLW Tour. Among the 170 professional anglers competing will be local angler Jeff Dobson of Bartlesville. Dobson will compete in his third FLW Tour this season and he has career earning of more than $60,000 with FLW. This year, Dobson looks to qualify for his first ever FLW Cup. There will be seven total 2019 FWL Tour events. The top award at each Tour event is $125,000 with $300,000 going to the winner of the FLW Cup. Since the final field exceeds the published payout basis of 150 pros, FLW will survey all 170 participating pros to finalize the 2019 payout structure. The competition kicks off at Sam Rayburn Reservoir Jan. 10th through the 13th, in Brookeland, Texas. The world championship of bass fishing – to take home the FLW Cup – will take place at Lake Hamilton on Aug. 9th through the 11th, in Hot Springs, Arkansas.